but what you're aiming to do is also super interesting. Don't be too amazed. I haven't actually done anything yet. 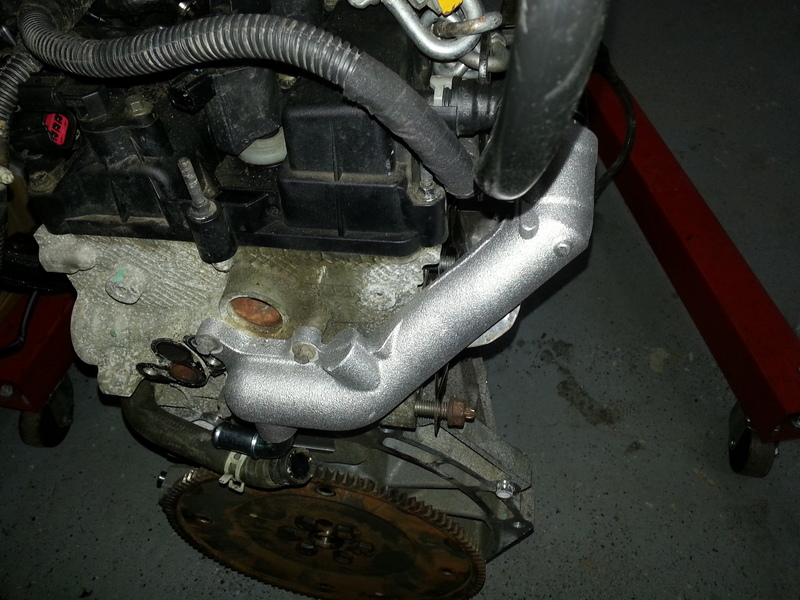 I'm planning to use a Borg Warner EFR7163 turbo running about 21lbs of boost peak. Do you have any thoughts on how long the engine will last making that type of power with that level of boost? I always wondered that when I see the N54 guys cranking up the boost on the 135s and 335s and to make 500+whp. I assumed these were all ticking time bombs. With good tuning and strong internals it'll last much longer than an engine that sees stratospheric RPM. Hm. I've done a lot of work lately but haven't posted anything. Maybe I can fix that this weekend. Alright alright. I haven't posted in a while. Wiring! That's what's on the menu lately. I bought this 2006 Miata to scavenge parts of the "front" wiring harness. The RX-8 and the MX-5 are pretty similar, but the wiring is quite different. Both cars have dedicated engine harnesses, and since I'm using the MX-5 engine (sorta), that doesn't have to be modified. On the MX-5, the engine harness plugs directly into the ECU, located in the engine bay. But both cars also interface the engine harness to what Mazda calls the "front" harness, which handles the lights, ABS, fans, air conditioning, CAN bus, and a bunch of other things. The front harness is also what connects to the engine fuse box. I wanted to make it so the MX-5 engine could plug into the RX-8 front harness and behave exactly like an MX-5, for future troubleshooting. The first step was to thoroughly understand each car's wiring, and develop a cross-reference sheet. I figured this would be challenging, and it did not disappoint. Even though there are only about fifty unique signals that needed to be spliced in, Mazda locates them in different places on each car, they use different wiring codes, and... it's complicated. Once I had all of that sorted out, I bit the bullet... I had to go cut the MX-5's wiring harness. Mostly I needed two connectors, each of which plugged into the engine harness and routed signals like the CAN bus, the taillight and reverse lights, the starter interlock, etc into the interior harnesses. The white and gray connectors in this picture attached to the MX-5's engine fuse block. I figured I'd find a place to attach them to the RX-8 chassis, near its fuse block, which is in roughly the same location as the MX-5. I cut them with enough wire attached to allow me to easily splice them into the RX-8's wiring harness. The big gray connector with the lever lock is the second connection to the MX-5's engine computer. I had to cut that off as well. Here they are all cut out and ready to start working into the RX-8. Moving to the RX-8, I had to cut out the sheathing and tape wrapping its harness. I'm converting the RX-8 from electric power steering to hydraulic, so I figured I'd lighten the front harness load and simplify the wiring by removing all of that wiring, plus all of the emission control wiring (which is substantial in the RX-8 as compared to the MX-5). To the right of that pic is the fuse box, which is where all of these wires come and go. And on the passenger's fender, a bunch of wires that need to get eliminated from the RX-8 wiring. The fuel pump resistor, the air pump, the EPS computer wiring... most of this is going away. The first splice I made was a bypass for the two-speed fuel pump relay that Mazda runs. The rotary requires so much fuel at high RPM that they run the fuel pump at low speed during idle and at a faster speed when necessary, to avoid heating of the fuel. I don't need this for my setup as I'm converting the fuel system to a true return-style system, so this will simplify things down the road. Basically I'm bypassing the low-speed relay and always running the pump wide open. Scary pic #1. One wire at a time, and double checking my reference documentation, I spliced in the MX-5 ECU connectors to the RX-8 chassis wiring. I generally like to use non-insulated crimp terminals with shrink wrap, so you see a bunch of little sections of black shrink tubing. I did use a couple insulated crimp connectors for the larger wires. I'll probably re-do these in the future, but I didn't have any non-insulated terminals that were large enough. Scary pic #2. Continuing, one wire at a time. This is fairly challenging, as you want all the wires to be roughly the correct length, so the harness has enough length but not a bunch of long wires that you have to bundle up later. Believe it or not, this is pretty close to "done." And, with most of the wires bundled up enough so they're not loosely hanging out. I won't fully wrap the harness until I've got the engine in and have verified everything works, but I've checked every wire a bunch and I believe I've gotten everything correct. So, back to the engine fitment issue. I've come to a couple realizations. Let's tackle the first one: the water pipe on the back of the cylinder head is the limiter for how far back in the chassis the engine can go. It sticks out about three inches, and that just isn't going to work. I discovered that the Ford Ranger with the 2.3L Duratec has a much slimmer rear water pipe. But still, it sticks out almost two inches. Better. Not great. Then I came across a guy who custom makes a bunch of parts to put the Duratec/MZR into old RWD cars, like Aussie Escorts. He makes a water pipe that only sticks out 25mm (about an inch). Score! Also, check out that sweet bellhousing... that will become important shortly. Problem number two is when the engine is in the right location fore-aft, the MX-5 transmission's shifter is about four inches forward of the RX-8's shifter hole. The MX-5's transmission is also almost 110lbs, which is pretty hefty. Well, that bellhousing above is made by the same guy that makes the slim water rail. 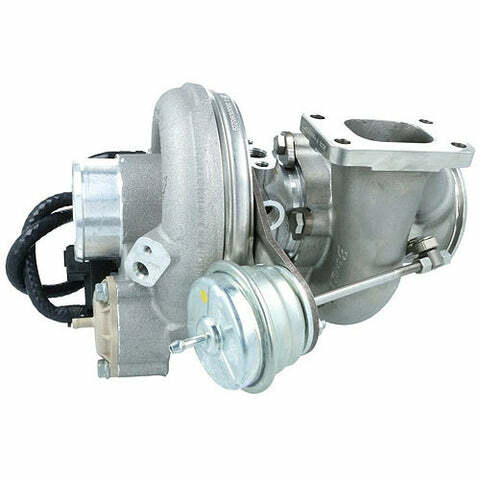 It is designed to mate to a second or third-gen RX-7 turbo transmission, which has a removable bellhousing. Those transmissions are also very strong, and about 30lbs lighter than the MX-5 transmission. The kicker is they measure four inches longer from the bellhousing to the shifter. Meaning they should line up perfectly with the RX-8 shifter hole. Score!